In mid-2017, the IRT Group started investigating its potential for innovation and business development with the launch of the IRT Innovation Challenge. The challenge aimed to find people and organisations that were passionate and invested in improving the lives of older people, and to identify both intrepreneurs and entrepreneurs the company could support in developing new aged care business models. During the initial 12-week open phase, IRT employees and external businesses were invited to engage in innovative thinking across 11 areas: habitat; space and shelter; environment climate; population health; movement; dying and death; disruptive tech; service delivery; purpose, role, image and identity; lifelong learning; experiences; and economics employment. New business ideas had to clearly identify a customer problem that was aligned with IRT’s purpose of ‘improving the lives of older people’. Ideas had to be scalable, with the potential for high impact. Teams had to prove that customers wanted the proposed solution, and had to work collaboratively towards a viable and feasible solution, with the long-term goal of building a business and minimal viable product. Pitches that met all these criteria, including satisfying a currently unmet need of older people, made it to the final stage of the challenge. The response from the public and IRT employees was enthusiastic. IRT’s dedicated innovation challenge Facebook page was overrun with suggestions, and IRT gained more than 7,000 new innovation ecosystem members in three months. A rigorous pitching and selection process saw nine pitch-ready models shortlisted to a final four potential start-ups—three internal start-ups, and one external. 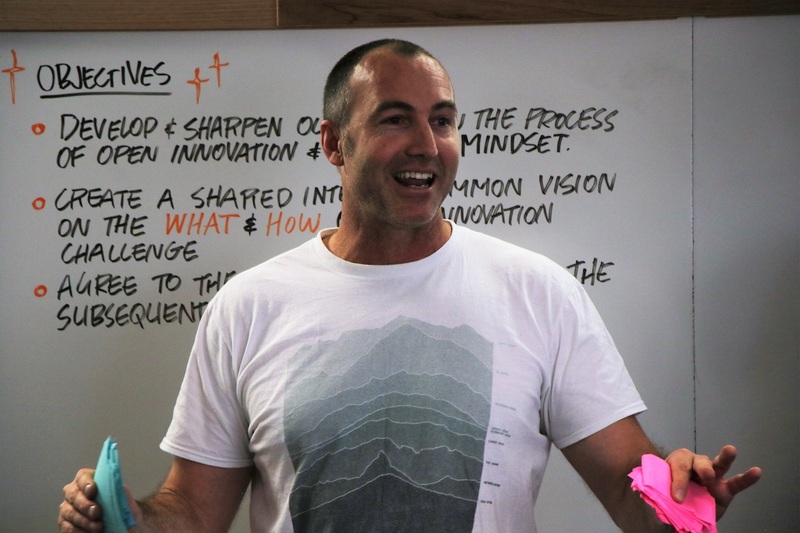 The business ideas of two of the internal IRT start-ups were selected for development in a local accelerator program ‘iAccelerate’ at the University of Wollongong. The third internal start-up continued to be developed in-house and the fourth is with a wellness start-up that IRT plans to partner with and pilot their product. IRT registered nurse and care manager, April Creed and aged care worker, Rebecca Glover steer the IRT start-up Ex Situ. Ex Situ is a digital tool that uses existing and manual input data to assist caring for and navigating older age. The tool puts core values at the forefront. This will enable family and friends to make better decisions for the ones they love when they can no longer speak for themselves. GPS Me—developed by IRT Academy’s Malin Shooks—supports older people to stay relevant and active in the workforce by providing career gap analysis, actionable steps for career transitions and other features. The next phase of IRT’s innovation tactic is to expand its ‘innovation ecosystem’ in collaboration with internal employees and external partners. IRT continues to engage with government, universities and industry to find solutions for customer problems.